Mediterranean-style diet was found to reduce the risk of developing stroke in women who are over 40, reveals a new research led by the University of East Anglia. A new report, published today in the American Heart Association’s journal Stroke, reveals that a diet high in fish, fruit, vegetables, nuts and beans, and lower in meat and dairy, reduces stroke risk among white adults who are at high risk of cardiovascular disease. The study is one of the largest and longest-running efforts to evaluate the potential benefits of the Mediterranean-style diet in lowering the risk of stroke. It shows that the diet may be especially protective in women over 40 regardless of menopausal status or hormone replacement therapy. Researchers from UEA, the University of Aberdeen and the University of Cambridge collaborated to study the intake of key components of a traditional Mediterranean-style diet including high intakes of fish, fruits and nuts, vegetables, cereal foods and potatoes and lower meat and dairy consumption. Over a 17-year period, researchers examined the diets of more than 23,000 participants and compared stroke risk among four groups ranked highest to lowest by how closely they adhered to a Mediterranean style diet. Study participants (23,232 white adults, aged between 40 and 77) were from the EPIC-Norfolk study, the UK Norfolk arm of the multi-centre European Prospective Investigation into Cancer study. 6 percent in men (which researchers said could have been due to chance). Lead researcher Prof Ailsa Welch, from UEA’s Norwich Medical School, said: “This research shows us that following a Mediterranean-style diet rich in fish, fruits and nuts, vegetables and beans, and lower in meat and dairy, may reduce stroke risk for women over 40. 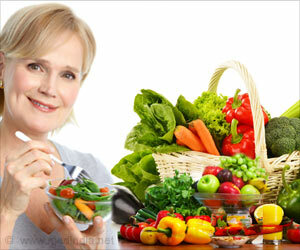 “But a healthy, balanced diet is important for everyone both young and old,” she added. “It is unclear why we found differences between women and men, but it could be that components of the diet may influence men differently than women. There was also a 13 per cent overall reduced risk of stroke in participants already at high risk of cardiovascular disease across all four groups of the Mediterranean-diet scores. However, this was driven mainly by the associations in women who showed a 20 per cent reduced stroke risk. This benefit appeared to be extended to people in low risk group although the possibility of chance finding cannot be ruled out completely. “Our findings provide clinicians and the public with information regarding the potential benefit of eating a Mediterranean-style diet for stroke prevention, regardless of cardiovascular risk,” said study co-author Prof Phyo Myint, from the University of Aberdeen. Researchers used seven-day diet diaries, which had not been done before in such a large population. Seven-day diaries are more precise than food-frequency questionnaires and participants write down everything they eat and drink over the period of a week. “The American Heart Association recommends a heart-healthy and brain-healthy dietary pattern that includes a variety of fruits and vegetables, whole grains, low-fat dairy products, fish, poultry, beans, non-tropical vegetable oils and nuts and limits saturated fat, trans fat, sodium, red meat, sweets and sugar-sweetened beverages; this dietary pattern reduces risk factors and risk for heart disease and stroke.